View of the Fremont 2 prescribed burn as seen from Skyline Drive. The upper end of Fremont Lake is in the foreground. 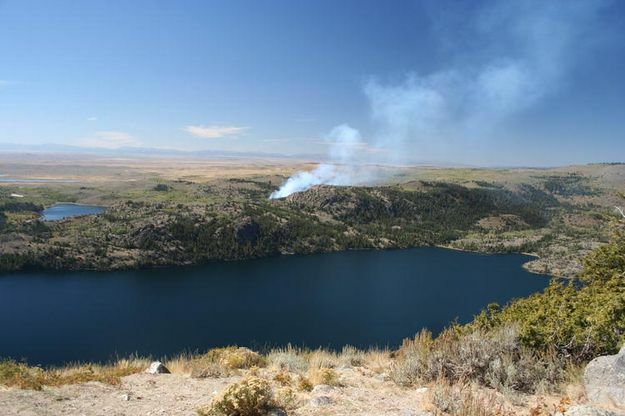 Little Soda Lake is to the left of the smoke column. Soda Lake can be seen in the distance behind Little Soda.